I recently finished Betty Friedan’s The Feminine Mystique. I view it as the ancestor of sorts to Sheryl Sandberg’s Lean In. 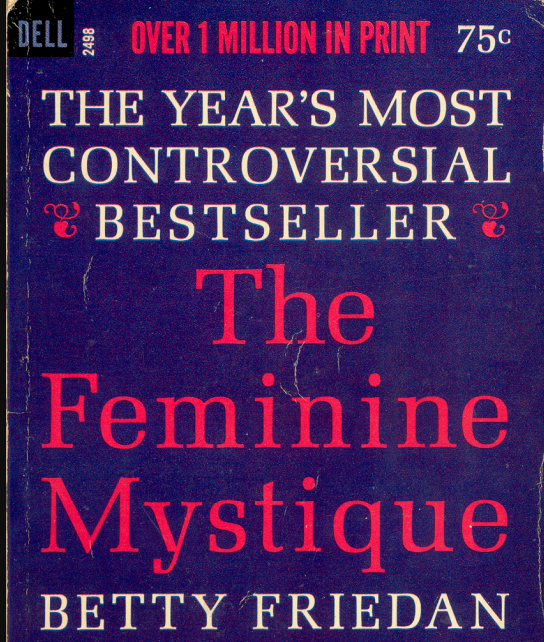 The Feminine Mystique answered a lot of my lingering questions about the second-wave feminist movement and why I am sometimes the recipient of anti-feminist comments from women and, if we’re being honest, from the anti-feminist thoughts lurking in my mind. Learning about “the problem that has no name” made things click in my head. Following WWII, well-off and middle class women were given images of domestic bliss. Society was flooded by advertisements with women in absolute rapture, glee and practically orgasming from washing and waxing their kitchen floors. “The problem that has no name” was presented a time when women of a certain social class were defined as mothers to their children and wives to their husbands. This was meant to be the epitome of their existence. Women had no other identity, but they should not strive for something outside of their domestic role because being a wife and mother should be enough. This is where, as I read the book, I began to take personal issue. Being a mother is not enough for me. I will sign up for all the clichés about how amazing motherhood is, but I will never say it’s enough to fulfill me as a person. I need to feel like more than my children and my marriage. For some this means a passion or a hobby. For me, this means work. Anti-feminist comments come from women too. When I learned I was pregnant with twins one woman asked me if I was going to quit my job and stay home now. I know I was about to become the mother of 3 under the age of 3, but the idea of leaving my profession NEVER entered my mind. The thought was as absurd as someone asking my husband if he was going to leave his job to stay home with the babies. He was never asked the same question. I would like to note, of course, I have the good fortune of having a job which allows me to pay for childcare. We had to switch from full-time daycare to a nanny (because I would be netting $25 a paycheck if I paid for three little ones in a traditional daycare), but I know there are women who cannot afford to work in their profession because childcare is too expensive. The answer, I think, is more affordable childcare and higher wages, to give everyone the freedom to make her own choice. The truth is, I felt so strongly about being a working mom, a part of me questioned my femininity. I have doubted myself and asked if something was wrong with me for not wanting to be a stay at home mom. Then I realized the notion of wanting to be a stay at home mom is more about what society is projecting onto me than what I actually want. I have always wanted a big family, but I never planned on staying home to raise my babies. Is this odd? After reading The Feminine Mystique, I felt good knowing it’s not natural for all women to feel entirely fulfilled or at the top of their intellectual potential by doing laundry, food shopping, cooking meals, and cleaning. I can do more, I can be more, and I want more. 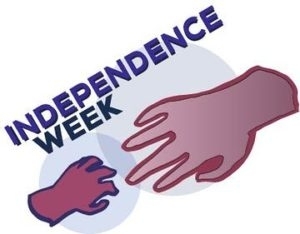 Lean In pointed out the need for equal partnership in the home, and I know (for me) it’s absolutely necessary to have a partner who can pick up where I left off to make sure everything is taken care of in the house and with the kids. Even so, the majority of domesticity still falls on today’s wives/mothers because norms haven’t changed that much. We live in a sexist society still, even if it’s changed since Betty Friedan’s day, and this is a big part of why I don’t feel guilty about leaving my babies every morning to go to work. The greatest job I will ever have is being their role model and I can only do this by following my dreams, and not others’ expectations.